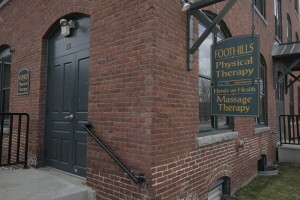 Foothills Physical Therapy is proud to be an active member of the greater Concord community, supporting charitable, community, sports and educational initiatives through donations and personal involvement. Recognizing the groundswell of loyal support that has inspired and encouraged us throughout the years, voting us #1 physical therapy clinic for four years in a row, we are grateful for opportunities to return the support. We commit five percent of our annual profits to the support of community organizations. Working together for a healthier, stronger, more resilient community is important to us.